You want your home to look beautiful. You also want your space to have a classic and elegant look. Many people have an idea of what they want when it comes to the look of their furniture, but they don’t really know what types of furniture will help them to achieve that look. Perhaps the best way to elevate the look of your home is to add French furniture. This type of furniture has a unique style that you just can’t find anywhere else, and it is able to transform just about any room of the house. 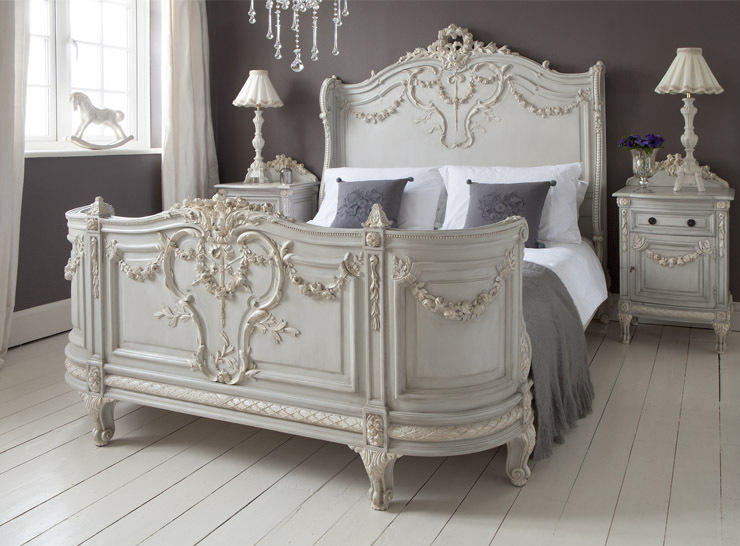 If you are looking to add something to your bedroom, the French bed is the perfect option. These beds are comfortable and unmistakable when you see them. Another option that you might want for your bedroom is a chaise lounge. If you have a large enough room, you could have the French bed and the chaise lounge in the same space. For those who have smaller bedrooms, this will look cluttered. Always maximize the potential of the space no matter what type of furniture you are choosing. You might want to add a few other pieces of French furniture as well. An armoire is a wonderful addition to any bedroom. If you want to give the impression that the space is larger than it is, consider adding a mirror. You don’t have to stop there either, in fact we love French Furniture so much that we would even recommend adding it to all the other rooms in the house – ok maybe that is one step to far but you get the point… we love French furniture. You do have to be careful though when you are choosing your bedroom and living room furniture as you are going to be spending a lot of time in these rooms, so it has to be right for you and for the space that you have. A lot of people don’t know that there are also many different sub-styles of furniture that exist, and you should always choose styles that are complimentary to one another and from the same period. For example: Baroque furniture and Neo-Classical furniture have a very different look, and they probably aren’t going to look great together! You should therefore choose one of the sub-styles that appeals to you and then choose the rest of your furniture from there. Many different contemporary options are available as well. Finding the right French furniture for your home is easier than ever today. Even if you don’t have a large furniture store in your area, you will be able to get all of the information you need from the web. You can find stores online that have pictures of the different styles of furniture so you can get a true sense of what they look like. French furniture can add that needed “something” for your home. Check out some of the fantastic French Furniture on Mustard Monkey and let us know what you like!